Guilty pleasure smash hit The Millionaire Matchmaker is on its 8th season. The show follows Patty Stanger, the owner of “Millionaire’s Club,’ an upscale dating service that operates out of Beverly Hills. This is a no-holds barred, intriguing glimpse at how the rich and (or) famous find love with the help of experts. It seems that even if one is too busy to find love, you can at least pay someone to do it for you. Patti counts in her circle of clients and experts celebrities like Rozonda “Chili” Thomas (of the 90’s smash girl R&B group TLC) and designer Kristin Cavallari. She gets some new blood in Candace Smith, a new member of her team who serves as Director of Recruiting and an old friend reappears in David Cruz, who returns as Director of Matchmaking. Produced by Intuitive Entertainment and Bayonne Entertainment, Inc. and executive produced by Mechelle Collins, Kevin Dill, Robert Lee, Patti Stanger, Spike Van Briesen and Robin Samuels, “The Millionaire Matchmaker” season 8 even hints at an on-screen proposal – which Patti and her love squad hopes leads to happily ever after. Make it an almost-daily habit, catch it on Sony Channel every weeknight at 7:55pm starting February 1. Sony Channel is wholly owned by Sony Pictures Entertainment and managed by Sony Pictures Television Networks, Asia, which also operates pay-TV channels AXN, Animax, ONE and GEM. See www.SonyChannelAsia.com, and joint the conversation on www.facebook.com/SonyChannelAsia and https://twitter.com/SonyChannelAsia for more. Establishing a new business venture or expanding an existing one has its fair share of considerations and challenges. With inherent risks at every stage, finding the best business solutions can play a key role in accelerating the growth and success of any business endeavor. With electricity as a key expense in any business enterprise, Meralco has created the Biz Partners Group, a special segment dedicated to assist start-up companies or existing ones expanding their businesses, via a whole menu of services that provides smart, tailor-fit solutions in managing electricity requirements. This is part of Meralco’s efforts to help entrepreneurs leverage energy efficiency and maximize profits. 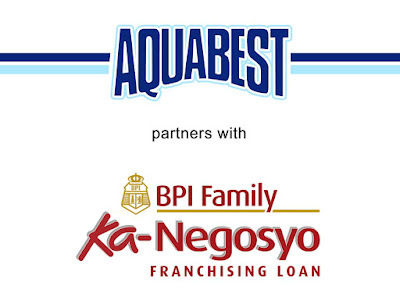 Whether you’re engaged in small-scale manufacturing, boutique hotels, restaurants, farming or any other type of industry where the management of electricity cost is vital, Meralco Biz Partnerscan provide you free business consultancy and help you discover energy solutions, right size your contract, understand your bill, and get to know our Accredited Meralco Contractors (AMCs). You can even enjoy special rates to maximize profits further. 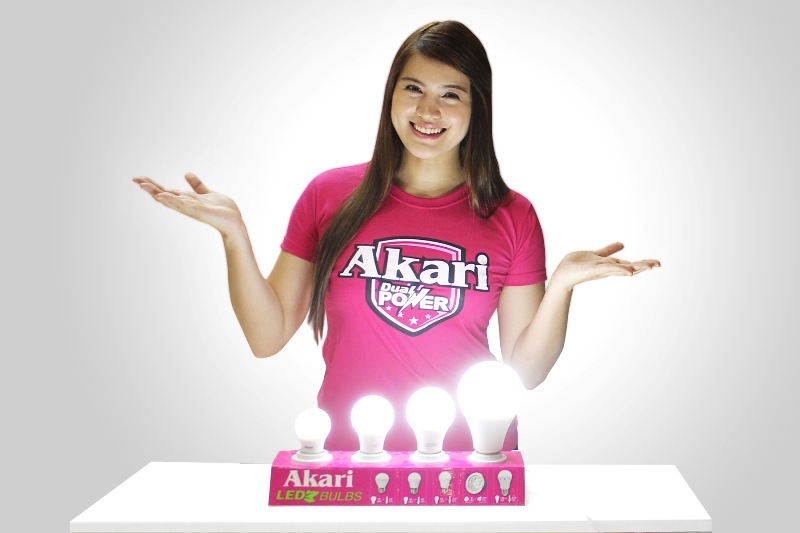 Discover energy solutions and turn electricity costs into profits with Meralco Biz Partners’ Power Ideas that can boost your business with the use of innovative technology, thus helping you manage your electricity consumption by switching to energy-efficient alternatives, and adapting green energy solutions. Meralco Biz Partners can help you right size your contract to ensure that your energy supply is sufficient and appropriate, depending on your usage. How is this done? Businesses submit to Meralco Biz Partners a list of all the equipment and machinery installed in their respective facilities. From here, 80% of the load as your contracted capacity is calculated. This then constitutes your Guaranteed Minimum Billing Demand (GMBD), the fixed monthly cost allocated for your business. Getting the right contract size thus allows businesses to get the best value from the service they are paying for, another smart way to manage energy costs. Generate more savings and turn in improved revenues with lower electricity rates when you enroll in Meralco’s Peak/Off-Peak Program. This lets businesses leverage electricity generation charges that are cheaper in selected hours and days in a week. Off peak hours are from 9pm to 8am every Monday to Saturday; as well as 12 midnight to 6pm, and 8pm to 12 midnight every Sunday. 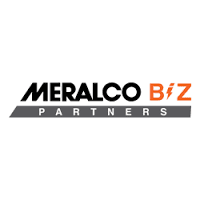 Meralco Biz Partners can help you plan how to shift specific operations, such as those that involve the use of power-intensive equipment, to off-peak hours without incurring labor-related costs. Meralco Biz Partners will also give businesses access to its list of Accredited Meralco Contractors (AMCs) who have received technical and safety training from Meralco. Whether you are looking for expert energy service providers or contractors, having a trusted, reliable partner will help assure good quality service, as well as safe, hassle-free and timely energization. This year, the first of the Power Up Forums will be held in time for the Chinese New Year on February 4, from 10 AM to 2 PM at Uno Seafood Restaurant in Greenhills, which will no doubt give companies an auspicious start in this year of the Monkey. Starting and growing your own business is an undertaking filled with risks and challenges. But by having the right partner by your side, one with the expertise such as Meralco Biz Partners, you can have access to safe and reliable solutions that will guide you along the right path towards success. Learn how to make your business more efficient and profitable. To find out more about Meralco Biz Partners and how to join the Power Up Forum, call (02) 16210 or visit www.meralco.com.ph/biz. “Kaya anu man ang negosyo, may partner kasapagtupadngpangarapmo”. 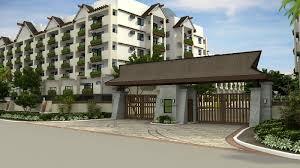 Condominium living is quite common in highly urban places like Metro Manila, and just like the high costs of living associated with big cities, prices of condominium units also commonly tend to be significantly high. This should not deter home seekers from choosing to live in Metro Manila, however, as there are many affordable options in the current market that do well to meet big city living needs while remaining reasonably priced. These condos are also quite accessible from major business centers, so commuting to and from work will be a breeze for future owners. Located along Mercedes Avenue in Pasig, this 2.9-hectare residential enclave is by DMCI Homes, and in keeping with the developer’s no-frills, distinctive style, also features a Balinese-inspired design. It is composed of eight medium-rise buildings complemented with 500 square meters of lush Balinese gardens and water features for a relaxing environment. Prices for units range here range from Php3 to Php5 million, with Lamudi currently having 96-sqm, three-bedroom unit currently listed for Php4,255,800. 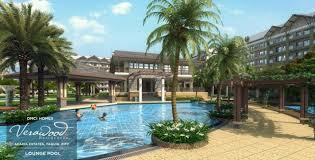 Another resort-style development by DMCI Homes, Acacia Estates is a massive residential community at 150 hectares. Unit prices at its Verawood Residences section—a two-tower, medium rise condo estate—range from as low as Php2.9 million for a two-bedroom inner unit to Php5.1 million for a newly turned over three-bedroom unit. Situated in Cubao just a stone’s throw away from the Araneta Station of MRT-3 and Cubao Station of LRT-2, Amaia Skies can be considered one of Metro Manila’s transport-oriented condos. This three-tower development, aimed at young professionals, offers units ranging from 18 to 34 sqm, with prices from Php1.4 to Php2.9 million. A project by Empire East, Cambridge Village in Cainta, Rizal, is quite close to Pasig and Ortigas Center and can be considered one of Metro Manila’s best-known affordable condos. It features a number of amenities to residents’ convenience, such as retail spaces, swimming pools, and a clubhouse with an 81-seater mini-theater, among others. A typical one-bedroom, 30-sqm unit here is currently listed in Lamudi for Php1.3 million. Situated in one of Makati’s most prominent sections, The Columns Legaspi Village is well worth a buyer’s investment based on the location alone. A project by Alveo Land and patterned off of their highly successful The Columns Ayala Avenue, the two-tower condominium provides residences close proximity to all the key the locations in the city, including Ayala Avenue, the city’s numerous commercial centers, and the Makati Medical Center, among others. 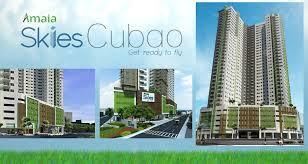 Unit prices start from as little as Php3.8 million for a 36-sqm studio unit. Judging on its location alone, buyers will get their money’s worth in Bonifacio Heights due to its proximity to McKinley Hill, McKinley West, and Bonifacio Global City. 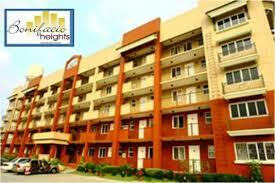 This medium-rise condo estate by DMCI Homes has 17 mid-rise buildings, and offers one-, two-, and three-bedroom units. 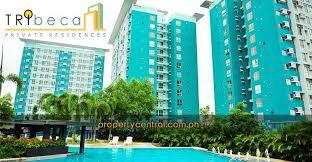 A two-bedroom unit is listed in Lamudi for Php5.4 million. 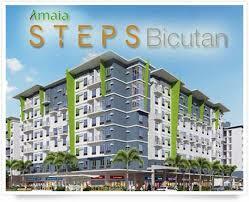 Its first tower to be completed early this year, Amaia Steps Bicutan, situated along the West Service Road (close to SM City Bicutan) offers units ranging from 22 to 44 sqm priced from Php1.5 to 2.9 million. This property is also quite accessible from the airport. Landco’s resort-themed condo project in Muntinlupa, TRIbeca’s main appeal is its easy access from the Skyway and the South Luzon Expressway, which makes travel to either the Makati CBD and Filinvest Alabang a breeze. It is comprised of three towers, offering modestly sized one- and two-bedroom units, which are ideal for starting families and young professionals. 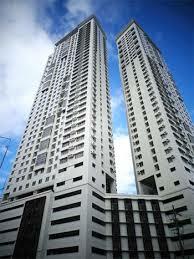 Two TRIbeca properties are currently listed in Lamudi for Php2.8 million (27 sqm) and Php3.6 million (38 sqm). Get ready to experience the sweetest Valentine’s Day ever with Villa Del Conte’s luscious chocolates perfect for every lover’s distinct taste. Make the celebration unforgettable by surprising him/her with a charming Villa del Conte Valentine box filled with lovingly-made artisanal treats. You may choose among the heart-shaped Amore Gift Box that contains 15 pieces of mixed praline balls, the square red box which has 20 pieces of praline balls, or the rectangular white box or minusculo, available with five or six pieces of pralines. Fill up your heart with love everyday and visit Villa del Conte stores at SM Megamall, Greenbelt 5, Century City Mall, Shangri-la Mall, Resorts World, Alabang Town Center, and Robinsons Magnolia. For bulk orders, please contact 893-2575 or 621-6101. Instagram: http://instagram.com/villadelconte and Twitter: https://twitter.com/VilladelConte. 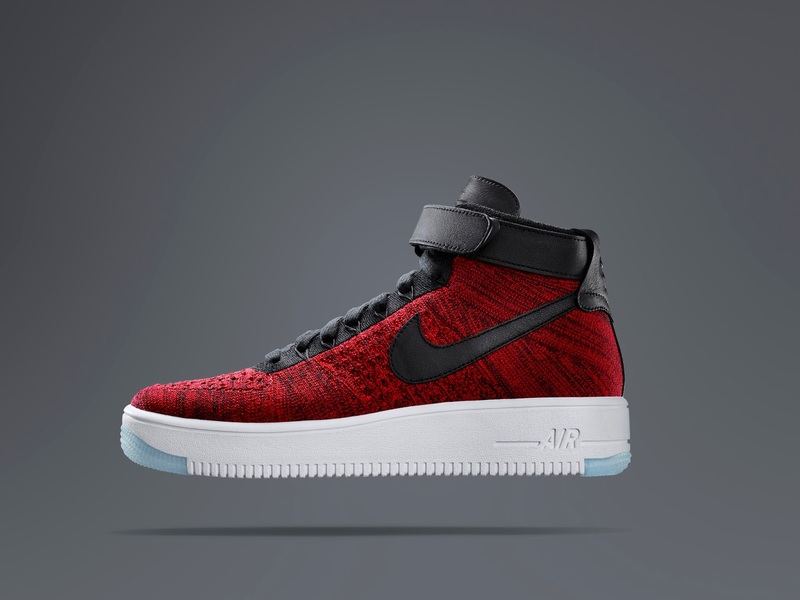 The Air Force 1 Ultra Flyknit debuts in Flyknit favorite, multicolor, and University Red for Nike Sportswear, plus a classic all-white Air Force 1 colorway for NikeLab. The Air Force 1 Ultra Flyknit is available now on www.Nike.com/Techbook, Nike's interactive and shoppable lookbook, and January 28 on Nike.com and retailers worldwide. Don’t miss this exciting year-long treat. 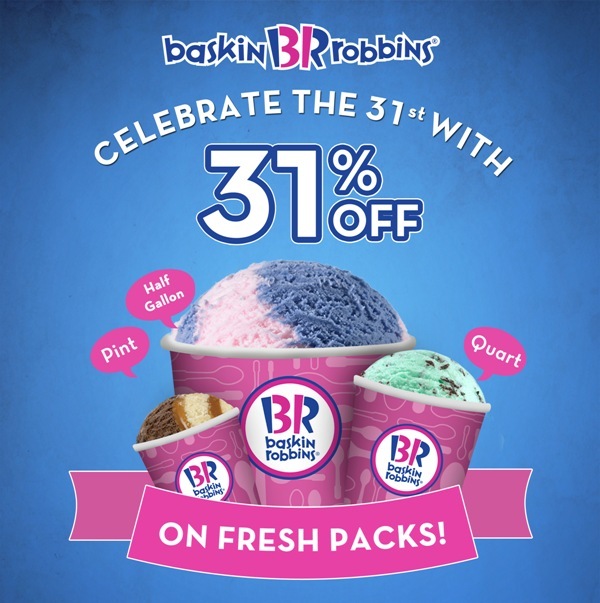 Head over to your nearest Baskin Robbins outlet located at the Central Square and SM Aura in Bonifacio Global City; Greenbelt 5 and Glorietta 5 in Makati; Fairview Terraces; and Trinoma Mall in Quezon City. Baskin-Robbins has also opened new stores in SM Southmall, Las Pinas and Solenad, Sta Rosa Laguna. 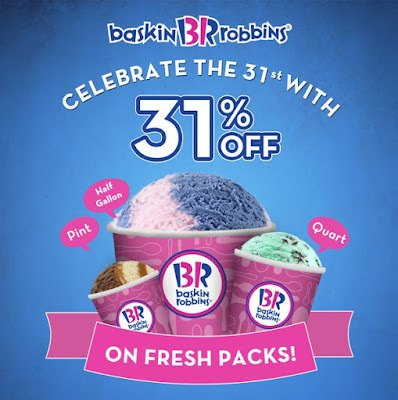 For more information, log on to www.baskinrobbins.ph or check out their accounts: www.facebook.com/baskinrobbinsph, Twitter, and Instagram @baskinrobbinsph. The Jr. NBA/ Jr. WNBA Philippines 2016 presented by Alaska hosted 281 coaches from Luzon, Visayas and Mindanao during the coaches clinic while the open clinics trained 1,068 youth from ages 5-16, setting a new attendance record for the Jr. NBA tip-off event at Don Bosco Technical Institute, Makati. NBA Philippines Managing Director Carlo Singson welcomed participants to the ninth consecutive staging of the Jr. NBA/Jr. WNBA Philippines program, which launched its inaugural event in the same venue nine years ago. Harry the Atlanta Hawks mascot and assistant Leighton together with Alaska Aces mascot E-Cow entertained children, parents and coaches with a dance showdown featuring kids from the audience. Jr. NBA/Jr. 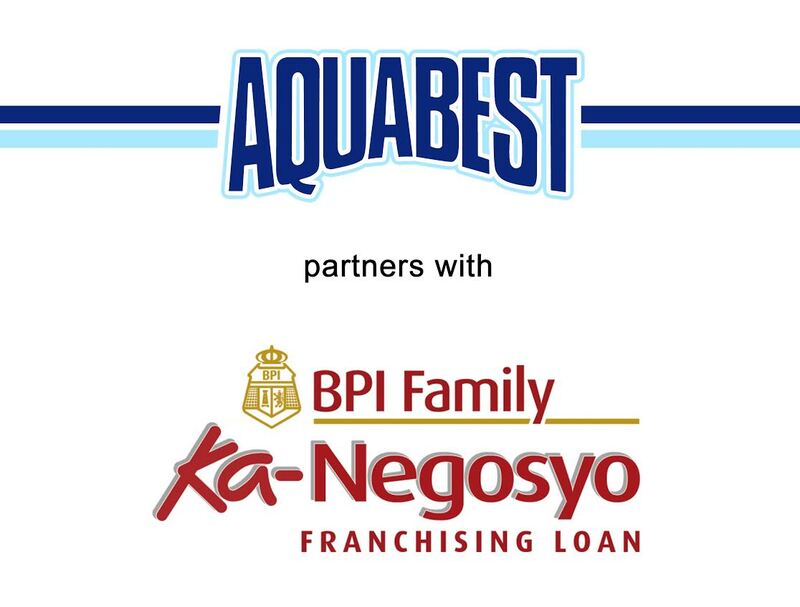 WNBA Philippines 2016 presented by Alaska, running from January 23 to April 24, will teach basketball fundamentals and impart its core values of Sportsmanship, Teamwork, a positive Attitude and Respect at the grassroots level to improve the youth basketball experience for players, coaches and parents. The Jr. NBA/Jr. WNBA program is free and open to boys and girls between the ages of 10-14. Jr. NBA/Jr. WNBA Philippines is comprised of four stages: skills clinics in schools and communities, Regional Selection Camps, a National Training Camp and an NBA experience trip. The skills clinics will be held nationwide from January through April with stops in Bukidnon, Butuan, Cagayan de Oro, Dagupan, Davao, Iloilo, Metro Manila and Puerto Princesa, and first-time locations in Batangas, Catanduanes and Cavite. Select players from these clinics will have the opportunity to showcase their skills in tryouts during the Regional Selection Camps, which will be held in Baguio (Feb. 20-21), Davao (Feb. 27-28), Cebu (March 5-6) and Metro Manila (April 9-10). The top 50 boys and 24 girls from the Regional Selection Camps will advance to the National Training Camp in Manila April 22-24. An NBA and WNBA player or legend will be at the National Training Camp which will culminate with the selection of 10 Jr. NBA and five Jr. WNBA All-Stars who will enjoy an overseas NBA experience trip together with fellow Jr. NBA All-Stars from Southeast Asia. The 2015 Jr. NBA All-Stars traveled to China to watch the NBA Global Games in Shenzhen featuring the Charlotte Hornets and the L.A. Clippers. Fans can also follow Jr. NBA on Facebook at www.facebook.com/jrnbaphilippines. For all things NBA, visit www.nba.com and follow them on Facebook (www.facebook.com/philsnba) and Twitter (www.twitter.com/nba_philippines). The National Basketball Association (NBA) and Royal FrieslandCampina (FrieslandCampina) – one of the world’s largest dairy companies, providing millions of children and families with valuable nutrition every day –announced today a multi-year extension of their marketing partnership. As the Official Milk Partner of the NBA in Indonesia, Malaysia, Philippines, Thailand and Vietnam, FrieslandCampina will continue to engage the NBA’s fanbase in Asia through its Drink.Move.BeStrong campaign, which aims to cultivate an active and healthy lifestyle among children through play, sports and proper nutrition. 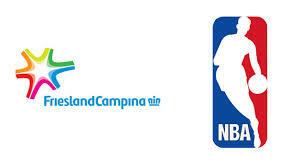 Through this partnership, FrieslandCampina will amplify the importance of exercise and good nutrition through events, television and digital activities, and localizedmarketing content, while also providing fanswith the opportunity to receive NBA-branded products, in-store promotions and unique NBA experiences. FrieslandCampina willalso continue to serve as the Presenting Partner of the Jr. NBA in Indonesia, Malaysia, Philippines, Thailand and Vietnam through its Frisian Flag, Dutch Lady, Alaska and Foremost brands.The Jr. NBA, the league’s global youth basketball participation program for boys and girls, teaches the fundamental skills as well as the core values of the game at the grassroots level in an effort to help grow and improve the youth basketball experience for players, coaches and parents. During the 2015-16 season, the Jr. NBA will reach more than 6.5 million youth in 32 countries. The program, first introduced to Southeast Asia in the Philippines in 2007, has reached more than 1.4 million children, parents and coaches across Southeast Asia. The Jr. NBA program, which is free and open to boys and girls, is composed of four stages: open clinics for children ages 5-14; competitive selection camps for boys and girls ages 10-14; National Training Camp (NTC) to select 15 of the top boys and girls as the Jr. NBA All-Stars based on the values of sportsmanship, teamwork, a positive attitude and respect; and an NBA experience trip,where Jr. NBA All-Stars from all five countries embark on a unique, overseas trip to watch an NBA game, receive basketball trainingand play exhibition games. The program also includes a “train the trainer” initiative designed to develop the skills of coaches and physical education teachers who willthen share their knowledge in their local communities. The 2016 Southeast Asia Jr. NBA schedule begins in the Philippines on Jan. 23 and culminates in Indonesia on Aug. 28. Details of the 2016 NBA experience trip will be announced at a later date. Registration for the 2016 Southeast Asia Jr. NBA will begin soon at www.jrnba.asia. Follow the Jr. NBA on Facebook to learn more about the program. For all things NBA, visit www.nba.com and “Friend” the NBA’s official account on LINE by adding @nba_global. The NBA is a global sports and media business built around three professional sports leagues: the National Basketball Association, the Women’s National Basketball Association, and the NBA Development League. The league has established a major international presence with games and programming in 215 countries and territories in 49 languages, and NBA merchandise for sale in more than 125,000 stores in 100 countries on 6 continents. NBA rosters at the start of the 2015-16 season featured 100 international players from 37 countries and territories. NBA Digital’s assets include NBA.com and NBA Mobile, which achieved record traffic during the 2014-15 season, as well as NBA TV. The NBA has created one of the largest social media communities in the world, with more than 960 million likes and followers globally across all league, team, and player platforms. Through NBA Cares, the league addresses important social issues by working with internationally recognized youth-serving organizations that support education, youth and family development, and health-related causes. Every day Royal FrieslandCampina provides millions of consumers all over the world with food that is rich in valuable nutrients. With annual revenue of 11.3 billion euros, FrieslandCampina is one of the world’s largest dairy companies, supplying consumer and professional products, as well as ingredients and half-finished products to manufacturers of infant & toddler nutrition, the food industry and the pharmaceutical sector around the world. FrieslandCampina has offices in 32 countries and over 22,000 employees, and its products are available in more than 100 countries. The Company is fully owned by Zuivelcoöperatie FrieslandCampina U.A, with over 19,000 member dairy farmers in the Netherlands, Germany and Belgium—making it one of the world’s largest dairy cooperatives. For more information please visit: www.frieslandcampina.com. Drink.Move.BeStrong is Southeast Asia’s first integrated activation and advocacy campaign focused on tacking childhood malnutrition. Founded upon the findings of FrieslandCampina’s SEANUTS study, the multi-stakeholder, multi-channel campaign encourages children across the region to drink one glass of milk a day and spend an hour a day on outdoor exercise. The regional campaign offers a host of activities including the distribution of free milk cartons to schools, a dedicated health and nutrition education programme and Jr NBA camps. With only weeks before Chinese New Year, households are once again on the lookout for home design tips to increase their financial luck, improve their work lives, keep themselves protected, and enhance their personal relationships. Not to worry: MyProperty.ph spoke with Philippine feng shui expert Hanz Cua, who shared his thoughts on making sure that luck is on your side during the Year of the Fire Monkey. 1. Blue is this year’s lucky color in feng shui, and it’s the color for increasing one’s luck in the wealth department. Because 2016 is the Year of the Fire Monkey, the water element won’t be present. This means you need to incorporate the color blue, which represents water, into your home in any way you can, such as painting your walls blue, hanging blue curtains, or using blue pillows. Another way to keep the balance is to set up actual water features in the home, such as an aquarium or a water fountain. 2. Cua says depending on your Chinese zodiac, you’ll have to put a different charm in a specific area of the home to enhance your fortune. Rats and Boars need a red object or lava lamp in the south. Oxen, Sheep, and Dogs should put a water element like a fountain or aquarium in the north. Tigers should display a stone like a tiger eye in the southwest. For Rabbits, an amethyst in the northeast will improve their luck. Dragons should put a water fountain or aquarium in the north. Snakes and Horses need a metal element like a wind chime in the west. Monkeys and Roosters need to accessorize the east with a fortune plant. 3. It’s important to do all of your activities in the east section of your office, as this ensures that your wealth luck will increase. Business calls, contract signing, and all work-related activities should therefore be done in this area of the office. 4. The south of the home is also considered to be lucky; it is where you can experience unexpected wealth, promotion, or business expansion. You can keep the positive energy up in this area by moving the radio or television, turning on the lights, or positioning a lava lamp or money coin in this direction. 5. For students who want to do well in school, Cua suggests reviewing and doing homework, projects, and any other academic activities in the west part of the home. 6. 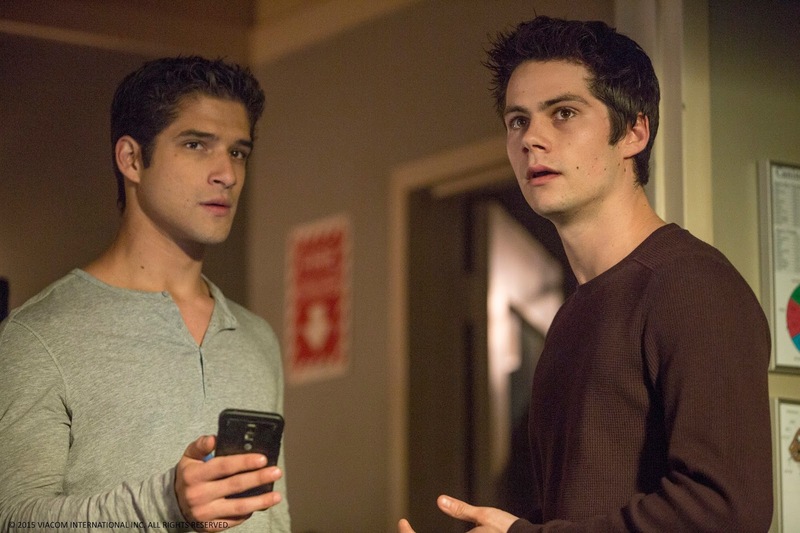 The center of the home will contain the Illness Star in 2016. Cua warns that an epidemic similar in magnitude to the Ebola virus is possible this year, and that people should also be wary of medical conditions like stomach problems and respiratory diseases. Placing a wu lou—a bottle charm that resembles a gourd—in the center of the home will help protect its residents from illness. This sector should also be devoid of any fire-related elements like bright lights or anything red, yellow, or orange. 7. Because of the presence of the Argument Star in the northwest sector (also known as the “father sector”) of the home, fathers (especially those born in the Year of the Dog or Boar) will find themselves to be more aggressive and quarrelsome. This can be cured by placing a lava lamp or anything red in this sector. 8. When buying a property, choose a neighborhood where residents are affluent, diligent, and successful, as this will positively affect your state of mind and encourage you to work hard as well. If you’re buying a home that was built before 2004 and has not been remodeled since its construction, it is said to have stagnant chi and will need curing to revive its wealth luck. Cua advises that while there’s nothing wrong with following the principles of feng shui, these should only be seen as guidelines. People must still keep in mind the importance of hard work, open communication, and looking after one’s health in making their lives better. Kung Hei Fat Choi! Safety in the kitchen has always been the advocacy of the country’s top LPG provider, Solane. But beyond the usage of safe, legitimate LPG tanks, homemakers should watch out for other hazards of cooking—from handling sharp knives, working with hot surfaces to making sure the food is properly cooked. So take off your apron first and read on to learn how we can make the kitchen safer for us and our families. Unless you are a pro, you should not run around the kitchen like you are joining a speed cooking contest. Also, when you lift a cover off a boiling pot, pull the cover toward you so you do not burn your hand. Steam can burn easily as boiling liquid so be careful around simmering or boiling food. One way to avoid botulism, a fatal paralytic illness caused by a toxin produced by the bacteria Clostridium botulinum, is to refrigerate all food items labeled “Keep Refrigerated.” Botulism usually comes from improper canning and dented or swollen cans so refrigerating those canned foods can save your life. Before using knives, you should keep the blades sharp and clean to prevent them from slipping and cutting yourself. Always cut away from your body and always use a cutting board. Wash the knives with warm soapy water but make sure you do not leave them lying around the sink because they may not be seen immediately and might cause accidents. Clean up spills of water, grease and food to avoid accidents in the kitchen. It is better to turn off the stove first and clean the floor so you don’t slip or fall. Do not risk the lives of your family with illegitimate LPG tanks because it could result in disaster. Instead, purchase a Solane LPG tank that now carries a safety cap and seal for their A/S valves. “The new safety cap and seal exemplify Solane’s commitment to innovation and safety. It is a service that we are committed to provide to our customers to ensure their safety and protection while using LPG at home or at work,” said Isla LPG Corp. chief executive officer Ruben Domingo. Other than sealing the tank, it also provides a means of checking the authenticity of the tank. A tab on the Solane safety cap and seal has a serial number printed on it. This serial number can be checked online for authenticity. With this serial number tab you can be 100% sure that your Solane LPG tank is filled properly and legally by Solane. These tips show that careful work habits and proper cooking is a good combination to keep not only your kitchen, but also your loved ones, safe. Avoid the recipes for disaster so you can focus more on creating tasty homemade dishes with the country’s favorite cooking gas, Solane. 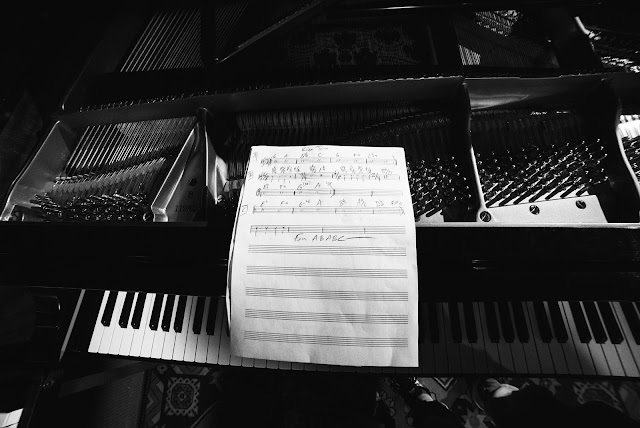 “Be Courageous,” composed by two-time Grammy Award-winning jazz pianist Robert Glasper, celebrates the full breadth of Kobe Bryant’s 20-year career, encapsulating its struggles and soaring high points. The above film explores the Robert Glasper Trio’s creative process and inspiration for the song. The new “Be Courageous” track includes the 4/4 and 6/8 time signatures and symbolically goes beyond jazz. Glasper’s choice of 4/4 and 6/8 time signatures, which define the track’s structure, goes deeper than jazz convention. The numbers align with a significant event in history: the assassination of a great leader on April 4, 1968 (4/4/68) in Memphis, Tennessee, at the Lorraine Motel. Additionally, Glasper draws inspiration from the city’s rich musical heritage — including pioneering labels like Stax Records, whose artists frequented the Lorraine Motel, which itself was a catalyst for community growth and support. Two-time Grammy Award-winning jazz pianist Robert Glasper. 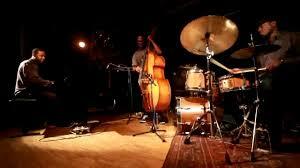 The Robert Glasper Trio at work in the studio. Vicente Archer, bassist for the Robert Glasper Trio. The story also inspires the KOBE 11 BHM 4468 shoe, which features an emblematic record on the tongue and other details connecting to the musical storyline. The shoe, part of the larger 2016 Black History Month Collection, isavailable now. Furthermore, fans are encouraged to submit their favorite highlights of Bryant’s career in the comment section on the Nike Basketball soundcloud.com page after listening to the music score from the Robert Glasper Trio. In the context of the international partnership between Ford and Michelin, for FORD Performance vehicles, the new Ford Focus RS will be exclusively equipped with Michelin tyres. The MICHELIN Pilot Super Sport, in the dimension 235/35/19, will be fitted on the Focus RS as standard and the MICHELIN Pilot Sport Cup 2 (in the same dimension) will be available as an option for improved performance on tracks. The new Ford Focus RS is a particularly demanding and sporty vehicle, representing a precise in-depth challenge for Michelin engineers, to specifically develop these two tyres in order to propose tyres able to meet the expectations of Ford teams. This advanced development process was carried out over almost 2 years, during which the car hit the tarmac of several tracks. Eat Right, Not Less this New Year! 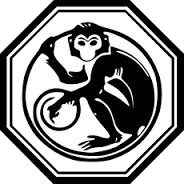 Welcome to 2016, the Year of the Fire Monkey! According to the Chinese lunar calendar, this year will be big on health innovations and wellness breakthroughs. Unfortunately, you might have weight issues to deal with as the holiday feasting has left you with excess fat that does not seem to go away. Losing weight and maintaining a healthy figure is not achieved overnight. According to the Cohen’s Lifestyle Centre, a wellness center in Makati that offers a personalized eating plan for safe and medically-supervised weight loss, every individual’s weight and body fat are shaped by multiple factors, including nutrition, genetics, psychology, and environment. While your food consumption and physical activity significantly affect your weight loss or weight gain, you are most likely to achieve and maintain a fit body if you follow a healthy lifestyle throughout the years. Josemaria Claro, a Cohen’s Lifestyle Program graduate, shared that the secret to losing weight is an individualized diet plan combined with self-discipline. Ten years after trying out different workout and fad diet programs without long-term success, the 32-year-old technical assistant became desperate. He decided to give Cohen a try after reading about it from a newspaper. And voila! 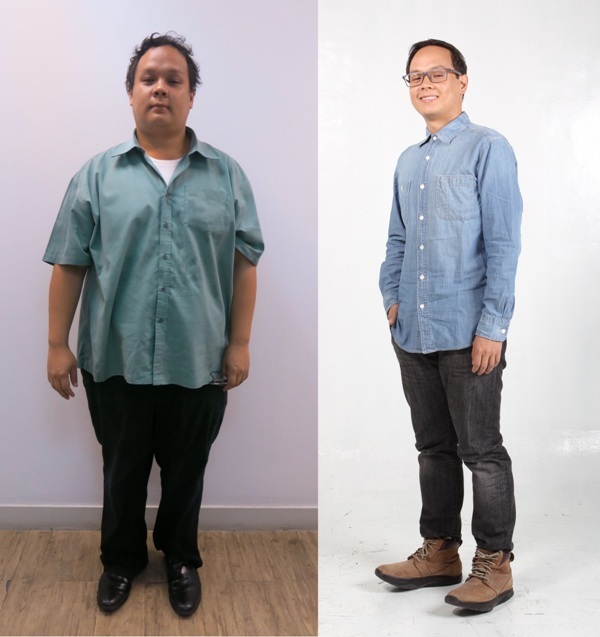 After 6 months in the program, he weighed down from 113.5kg to 72kg, perfect to fit into the latest men’s fashion trend. Eat right, not less. Eating a well-balanced diet of fruits, vegetables and lean proteins provides you with an adequate amount of calories to meet your nutritional needs, maintains your healthy metabolic rate, helps you stay energized, and keeps you feeling full longer. “Cohen gives me a specific list of food to eat with their exact measurements based on the unique biochemical profile of my blood. Although the program restricted my diet, I found it reasonable. I still feel full after eating and I can choose from a variety of carbohydrates, proteins and fruits. Other diet programs would just tell me to eat the normal food in moderation, which I think is a very poor advice especially since Filipino food is very ‘unhealthy,’” says Josemaria. Eat three main meals a day, at the same schedule to manage your appetite and cut down excessive food cravings. However, do not starve yourself. Aside from depriving your body of necessary nutrients, not eating enough can also lead to various health problems, including hypoglycemia, insomnia and infertility. Under-eating combined with over-exercising in a desperate attempt to lose weight can also cause hormonal changes, which might ironically result in stalled weight loss and body fat retention. Rehydrate and refuel regularly. Stay hydrated by drinking water often even when you think you are not thirsty. Aside from regulating your body’s temperature and cleansing your body of toxic wastes, water also keeps your metabolism burning. Get your daily dose of beauty sleep. You need around 6 to 8 hours of sleep everyday to be healthy. When you don’t get enough sleep, your body produces less insulin, which is a hormone that converts sugar and other food into energy. Consequently, you may feel tired and lazy to do a lot of physical activities throughout the day. Be active. Physical activities help you burn calories, boost your immune system and lower your stress hormone level. However, do not break your body with intensive workouts, especially if you’re a beginner or if you have health issues, including metabolic disorder. Half an hour of walking a day can be sufficient. Follow the Cohen’s Lifestyle Program. If you need professional intervention to lose weight and maintain a healthy weight, go for a safe and effective weight loss and wellness program, like the Cohen’s Lifestyle Program. Based on international medical research by Dr. Rami Cohen, the Cohen’s Lifestyle Program is a highly personalized program which recommends a diet plan based on your unique biochemical profile. The specialized food plan corrects hormonal imbalances that cause weight gain and revitalizes the body’s natural ability to burn fat rapidly and safely. Start your weight loss and wellness journey this 2016. Learn more about the Cohen’s Lifestyle Program at www.CohenLifestyle.com.ph or visit http://www.facebook.com/CohenLifestylePhil on Facebook and http://instagram.com/cohenlifestyleph on Instagram. Whether you are a die-hard football fan who wants to get into the sport, or simply just looking for a new form of exercise, you may be interested in joining the Football Fundamentals for Adults Program at the Sparta Football Academy. 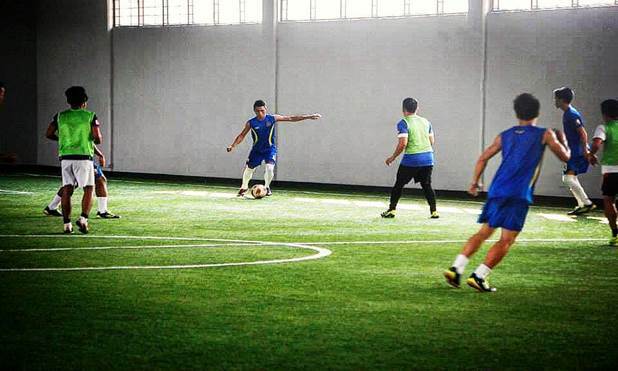 Sparta Football Academy is located inside the 10,000 square-meter Sports and Recreational Training Arena or SPARTA, along Pioneer Street in Mandaluyong City, and is best known for the first and only FIFA certified 1-star indoor football field in the country. According to SPARTA's owner Amanda Fernandez, "The program was set-up so that adults can experience the beauty of the sport for the first time. It is also meant to teach the basics of football and expand the football community in the Philippines." "Expected results for this crash course revolve around having a very good understanding of the basic skills and rules of football, as well an appreciation for the sport", she adds. The program will be headed by Head Coach Joel Villarino and Assistant Coach Joseph Villarino. The program will start February 3 and will be held every Wednesday from 2-4 in the afternoon for the entire month. Sony Channel is wholly owned by Sony Pictures Entertainment and managed by Sony Pictures Television Networks, Asia, which also operates pay-TV channels AXN, Animax, ONE and GEM. See www.sonychannelasia.com, as well as follow www.facebook.com/SonyChannelPH and https://twitter.com/SonyChannelPH for more.